Extra Day Blow Out Sale! 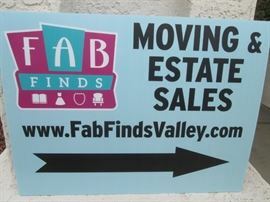 AddressThe address for this sale in Phoenix, AZ 85015 will no longer be shown since it has already ended. We DO NOT give out sale pricing or information by phone, text or email prior to or during the sale. No pre-sales or early entry. Premises are monitored! Please leave large purses, bags, boxes in your car! 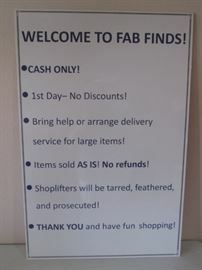 Items are sold "as is", where is, no returns, refunds or exchanges. Bring help to load furniture or large items. We have a delivery company available for hire. LOTS OF GOOD THINGS LEFT FOR HOUSE AND COLLECTING!